The remains of two great East African ports admired by early European explorers are situated on two small islands near the coast. From the 13th to the 16th century, the merchants of Kilwa dealt in gold, silver, pearls, perfumes, Arabian crockery, Persian earthenware and Chinese porcelain; much of the trade in the Indian Ocean thus passed through their hands. تقبع على جزيرتين صغيرتين قريبتين من ساحل تانزانيا آثار مرفئين كبيرين حظيا بإعجاب المسافرين الاوروبيين الأوائل. وما بين القرن الثالث عشر والسادس عشر، كان تجار كيلوا يتبادلون الذهب والفضة واللؤلؤ والعطور والاواني العربية والخزفيات الفارسية والبورسلان الصيني، فيمسكون بزمام جزء كبير من تجارة المحيط الهندي. Остатки двух значительных портов Восточной Африки, восхищавших первых европейских пришельцев, находятся на двух небольших островах около побережья. В XIII-XVI вв. купцы Килвы торговали золотом, серебром, жемчугом, духами, арабской посудой, персидской керамикой и китайским фарфором. Большая часть торговли в регионе Индийского океана проходила через их руки. En dos pequeñas islas muy cercanas a la costa tanzana subsisten vestigios de dos importantes puertos que fueron la admiración de los primeros viajeros europeos en el África Oriental. Desde el siglo XIII hasta el XVI, una gran parte del comercio del Océano Índico pasó por las manos de los mercaderes de Kilwa que traficaban con oro, plata, perlas, perfumes, loza de Arabia, cerámica de Persia y porcelana de China. Located on two islands close to each other just off the Tanzanian coast about 300km south of Dar es Salaam are the remains of two port cites, Kilwa Kisiwani and Songo Mnara. The larger, Kilwa Kisiwani, was occupied from the 9th to the 19th century and reached its peak of prosperity in the13th and 14th centuries. In 1331-1332, the great traveler, Ibn Battouta made a stop here and described Kilwa as one of the most beautiful cities of the world. Kilwa Kisiwani and Songo Mnara were Swahili trading cities and their prosperity was based on control of Indian Ocean trade with Arabia, India and China, particularly between the 13th and 16th centuries, when gold and ivory from the hinterland was traded for silver, carnelians, perfumes, Persian faience and Chinese porcelain. Kilwa Kisiwani minted its own currency in the 11th to 14th centuries. In the 16th century, the Portuguese established a fort on Kilwa Kisiwani and the decline of the two islands began. The remains of Kilwa Kisiwani cover much of the island with many parts of the city still unexcavated. The substantial standing ruins, built of coral and lime mortar, include the Great Mosque constructed in the 11th century and considerably enlarged in the 13th century, and roofed entirely with domes and vaults, some decorated with embedded Chinese porcelain; the palace Husuni Kubwa built between c1310 and 1333 with its large octagonal bathing pool; Husuni Ndogo, numerous mosques, the Gereza (prison) constructed on the ruins of the Portuguese fort and an entire urban complex with houses, public squares, burial grounds, etc. The ruins of Songo Mnara, at the northern end of the island, consist of the remains of five mosques, a palace complex, and some thirty-three domestic dwellings constructed of coral stones and wood within enclosing walls. The islands of Kilwa Kisiwani and Songo Mnara bear exceptional testimony to the expansion of Swahili coastal culture, the lslamisation of East Africa and the extraordinarily extensive and prosperous Indian Ocean trade from the medieval period up to the modern era. Criterion (iii): Kilwa Kisiwani and Songo Mnara provide exceptional architectural, archaeological and documentary evidence for the growth of Swahili culture and commerce along the East African coast from the 9th to the 19th centuries, offering important insights regarding economic, social and political dynamics in this region. The Great Mosque of Kilwa Kisiwani is the oldest standing mosque on the East African coast and, with its sixteen domed and vaulted bays, has a unique plan. Its true great dome dating from the 13th was the largest dome in East Africa until the 19th century. The key attributes conveying outstanding universal value are found on the islands of Kilwa Kisiwani and Songo Mnara. However, two associated groups of attributes at Kilwa Kivinje, a mainly 19th century trading town, and Sanje Ya Kati, an island to the south of Kilwa where there are ruins covering 400 acres, including houses and a mosque that date to the 10th century or even earlier, are not included within the boundaries of the property. The property is subject to invasion by vegetation and inundation by the sea, and vulnerable to encroachment by new buildings and agriculture activities that threaten the buried archaeological resources. The continued deterioration and decay of the property leading to collapse of the historical and archeological structures for which the property was inscribed, resulted in the property being placed on the List of World Heritage in Danger in 2004. The ability of the islands to continue to express truthfully their values has been maintained in terms of design and materials due to limited consolidation of the structures using coral stone and other appropriate materials, but is vulnerable, particularly on Kilwa Kisiwani to urban encroachment and coastal damage as these threaten the ability to understand the overall layout of the mediaeval port city. 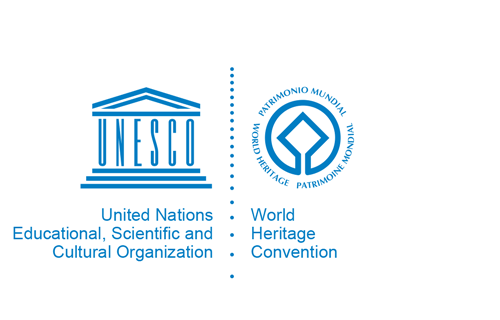 The ability of the sites to retain their authenticity depends on implementation of an ongoing conservation programme that addresses all the corrective measures necessary to achieve removal of the property from the List of World Heritage in Danger. The sites comprising the property are legally protected through the existing cultural resource policy (2008), Antiquities Law (the Antiquities Act of 1964 and its Amendment of 1979) and established Rules and Regulations. Both the Antiquities laws and regulations are currently being reviewed. The property is administered under the authority of the Antiquities Division. A site Managerand Assistant Conservators are responsible for the management of the sites. A Management Plan was established in 2004 and is currently under revision. Key management issues include climate change impact due to increased waveaction and beach erosion; encroachment on the site by humans and animals (cattle and goats); an inadequate conservation programme for all the monuments, and inadequate community participation and awarenessof associated benefits. Long term major threats to the site will be addressed and mechanisms for involvement of the community and other stakeholders will be employed to ensure the sustainable conservation and continuity of the site. There is a need for better zoning of the property for planning in order to ensure development and agricultural uses do not impact adversely on the structures and buried archaeology.